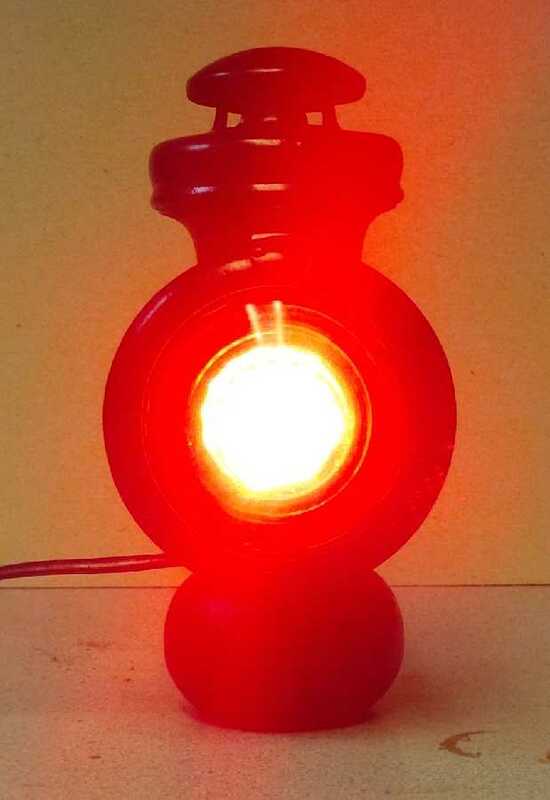 Model T Ford Forum: Source for 6 volt LED stop/ tail light bulbs??? Source for 6 volt LED stop/ tail light bulbs??? 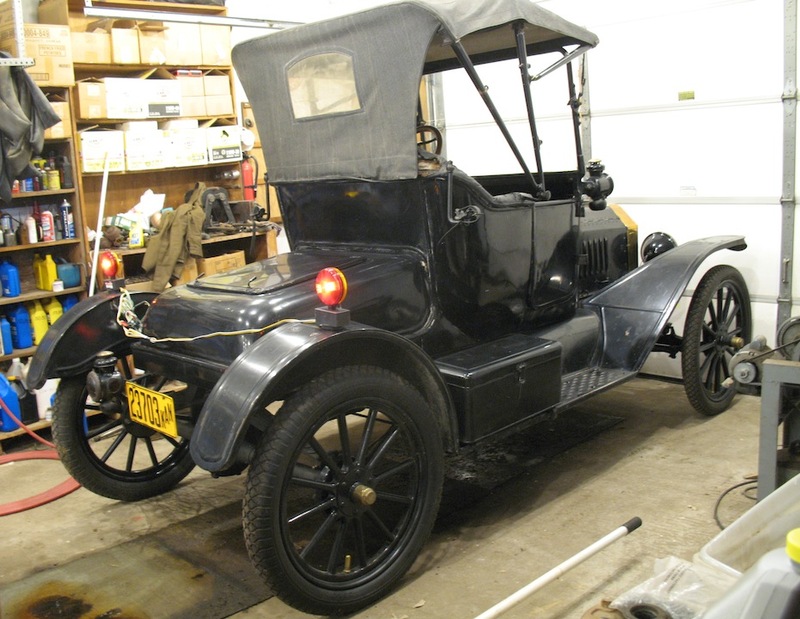 Model T Ford Forum: Forum 2018: Source for 6 volt LED stop/ tail light bulbs??? We got talking about getting brighter bulbs for the back. Ordered two on Amazon, waited a month came from china, could not get either to work. You could try these. https://www.superbrightleds.com/moreinfo/s-series-bulbs/1157-led-bulb-dual-funct ion-19-led-forward-firing-cluster-bay15d-retrofit-car-classic-car-bulbs/508/ Select voltage and beam angle. I was told by a trailer guy is that they work real well but require a real good ground. I'll be jumping to LED soon and have already ran a designated ground wire to all my tail/signal lights on my car with this anticipation . 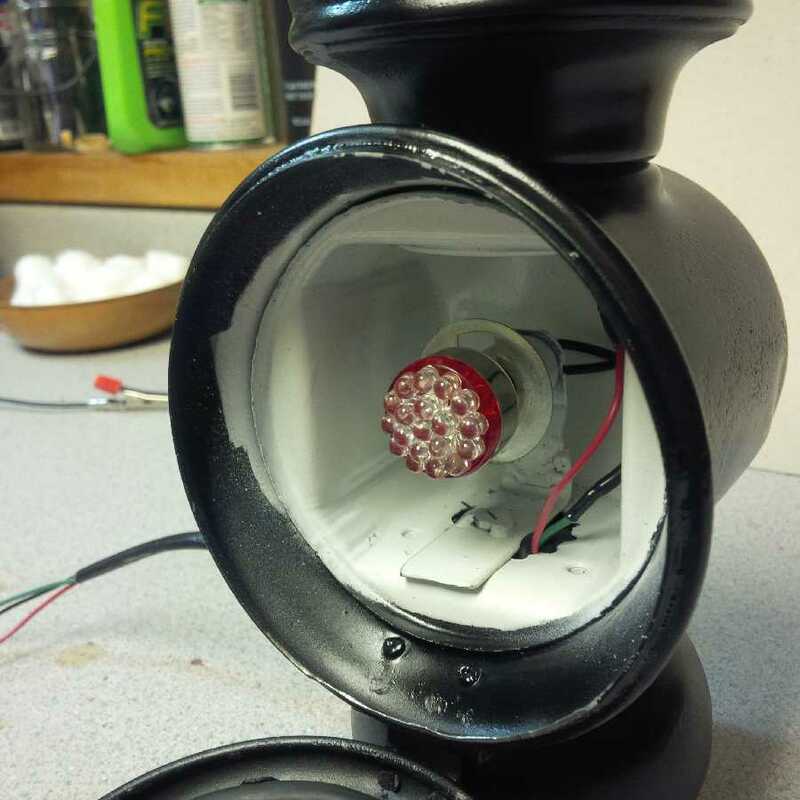 I had some from Brattons that fit a Duolamp aftermarket drum light. Granted they didn't draw many amps, but they weren't very bright either in sunlight. So I changed to halogen bulbs for the stop and 6 cp bulb for the tail in my drum light. Very visible, but have a larger amp draw. Langs also sells a dual bulb single base unit that is halogen. Plenty bright to be seen easily, but draw more amps as well than an LED. 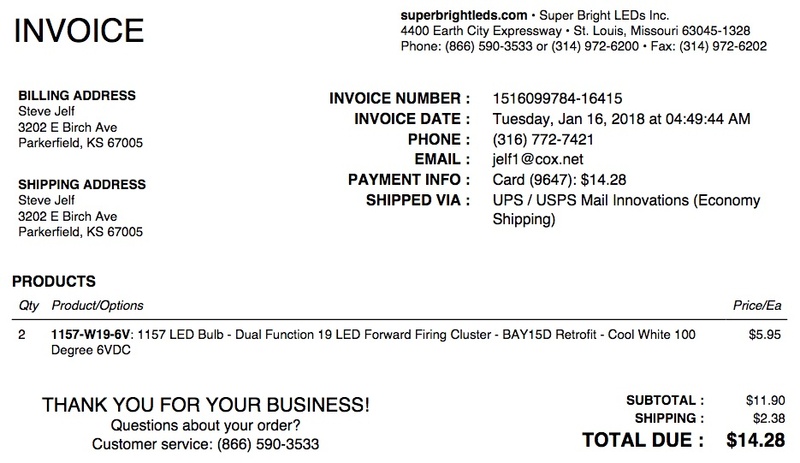 Rod Barrett gave me good info on LED's for both tail lights or headlights with our T's. LED's are directional. that is why they are arranged in a ring around the globe so they can be seen from all sides. 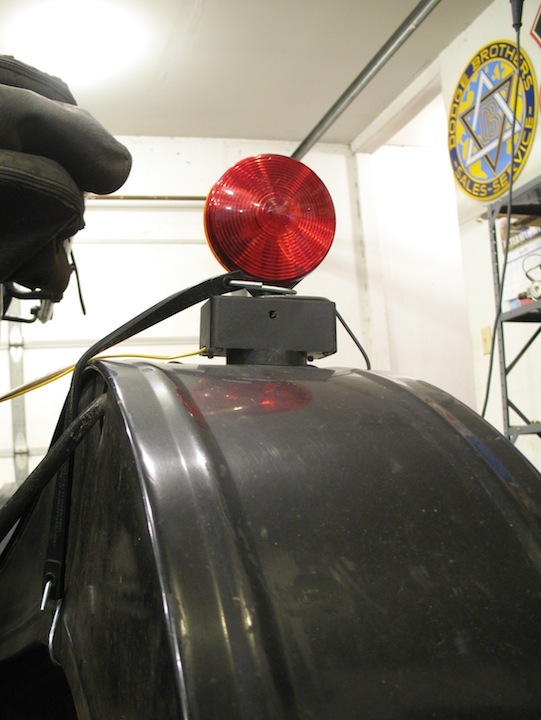 Electric tail lights with the globe oriented through the side of the light wiil not give the same results as those facing directly to the rear. At the same time, they require little current to operate them, so little that a resistor may be needed in the circuit on each side for the can to operate effectively. It's not necessarily 'plug and play'. I put these bulbs in a set of HF magnetic trailer lights. LED bulbs are directional, so these would have been near invisible from the rear. I installed new sockets to aim them toward the rear. The lights ride in a box in the trunk. If I have to use them they sit on the rear fenders with hooks and rubber bungees to help them stay put. Very clever! Do the magnetic lights scratch your fenders? No, but I think it would be OK to add a thin layer of foam on the bottom of the lights. I would like to see some 6V LED headlights. You want to see 6 volt LED headlights? I've seen threads about them on other car sites. After seeing what's inside these things there is a small board that regulates the power input. I have these and they are BRIGHT. The only issue is that the pins are orientated 90 degrees out. I have them so that 'low' beam is angled slightly towards the nearside. Still a good usable light though. Full beam is both LEDs and you get light forward. Again, to make use of the parabolic reflector, some light from the globe must emanate to the sides and rearwards to be reflected forwards. And again, the LEDS need to be arrayed around the globe to do this. just having forward facing LEDS will not give a satisfactory beam. I used these in my lantern conversion, they work great and are very bright. Steve, you have the correct globe with the correct orientation for that application. 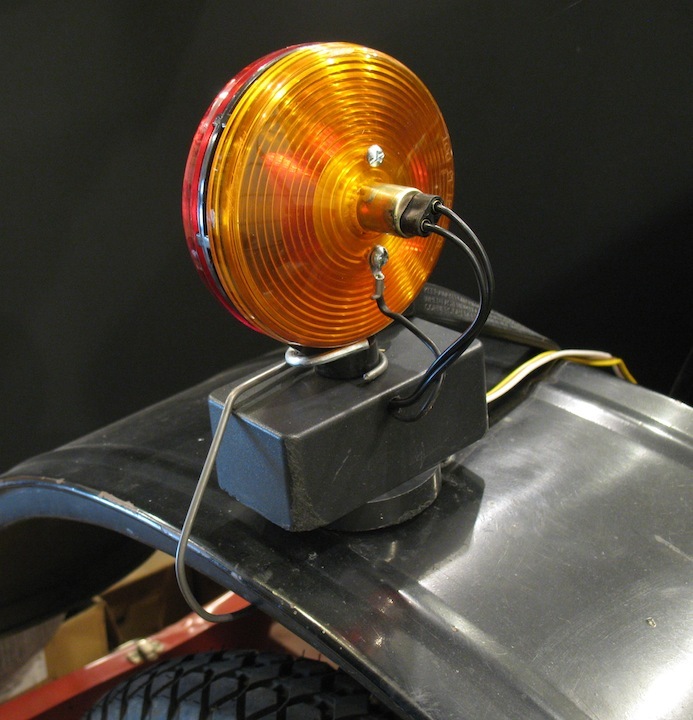 It would also work on electric tail lights when the globe holder is set front to rear, but would be next to useless when used in tail lights where the globe is mounted sideways.